STUDIO SUPER SAFARI is an architecture and design practice that is based in Singapore. We believe that a well-crafted space is the very incubator to grow a happy and creative generation and we certainly hope to build and make accessible these spaces to you. We dialogue, we keep an open eye and mind, we research, we explore and we document – these are the reliable tools that we employ in our everyday practice. 1) The studio is an environment where ideas move freely within conversation, collaboration and experimentation. More than being a physical space, it is also a practice that we hope to embody – a discipline in which we cultivate our design skills through a process of continuous learning. It is after all, that practice makes perfect. 2) We are always on the look-out for opportunities in which conventions can be re-interpreted and re-invented; where new ideas can be explored, pushed beyond its limits, and which finally take shape in the builder’s yard. Maybe it is also an attitude and energy when it comes to the very things that we care so much about. Well, we hope to bring to you the super and the superlative. 3) The safari. No, we are not just a bunch of wild animals. But yes, perhaps it is about where the interior and exterior environments meet. And maybe it is within a controlled setting where wild things are allowed to happen and where our thoughts and ideas can roam free. Or maybe it is about the well-crafted habitats in which the happy animals live. 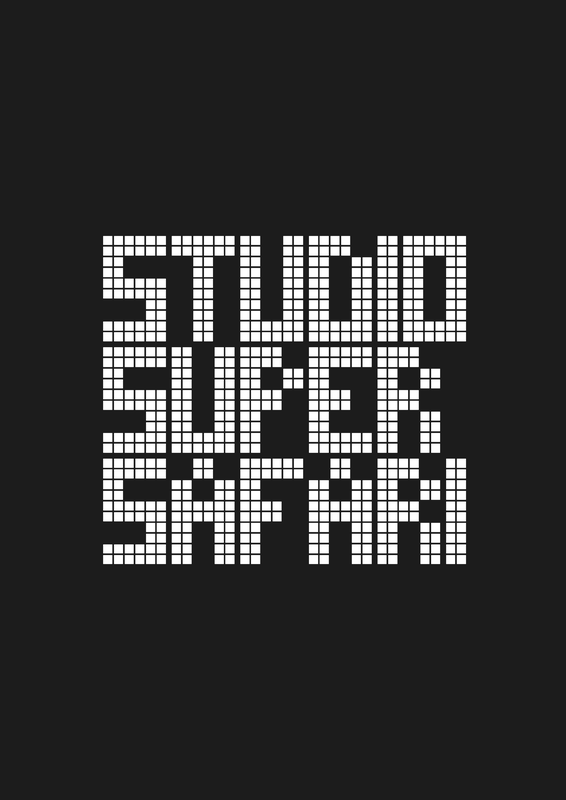 In any case, here’s presenting to you STUDIO SUPER SAFARI. Drop us an email at design@studiosupersafari.com if you would like to know more about our work.